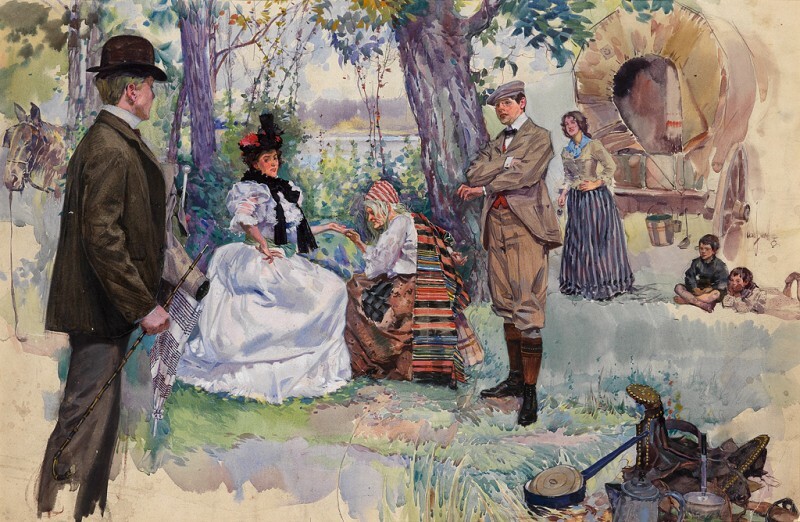 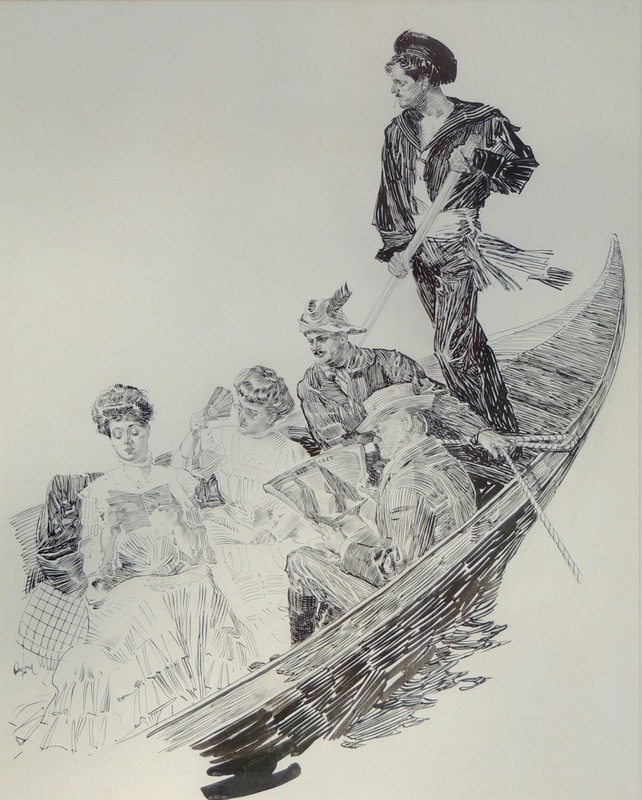 Orson Byron Lowell was the son of the landscape painter, Milton H. Lowell, and his father encouraged his early efforts by expecting him to draw something every day. 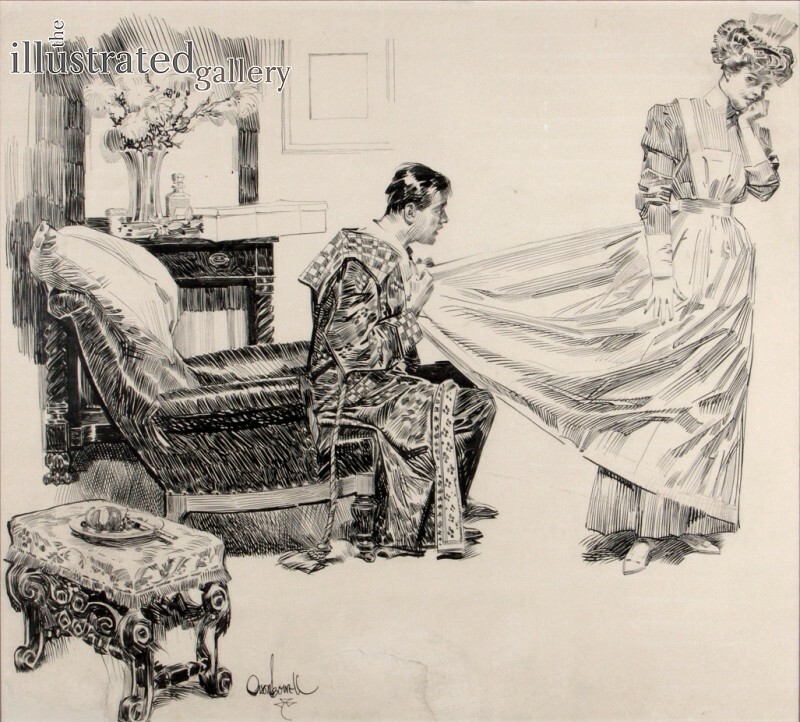 He attended the Art Institute of Chicago classes in 1887, remaining as a student and then as an instructor until 1893, when he moved to New York to enter the illustration field. 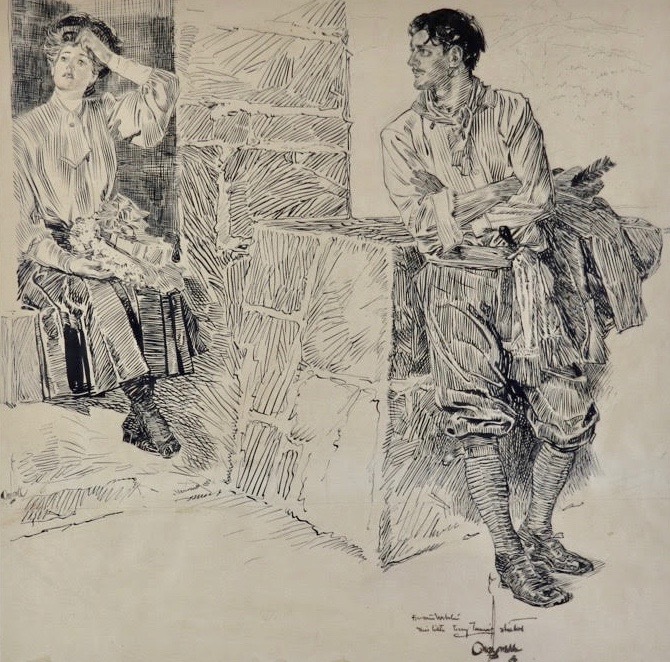 He found immediate success there and worked for most of the top magazines, including The Century, Scribner’s, McClure’s, The Harper’s publications, Puck, Judge, Collier’s and the Curtis magazines in Philadelphia. 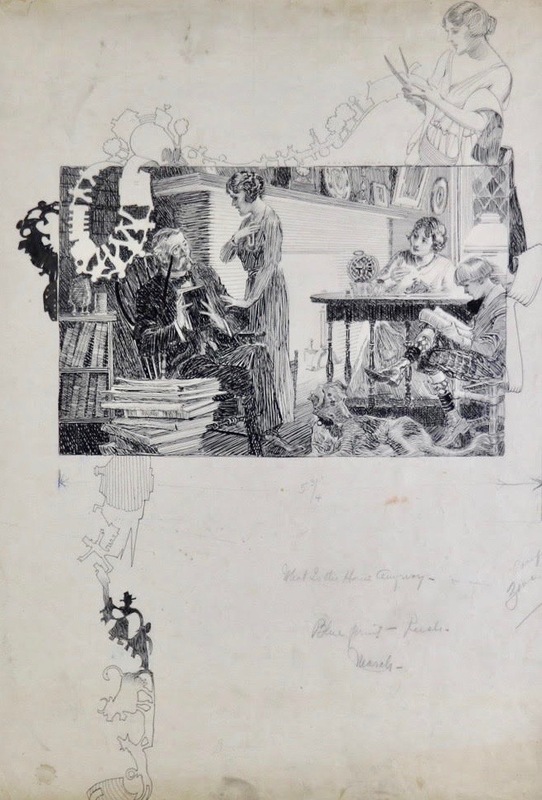 He also illustrated many books. 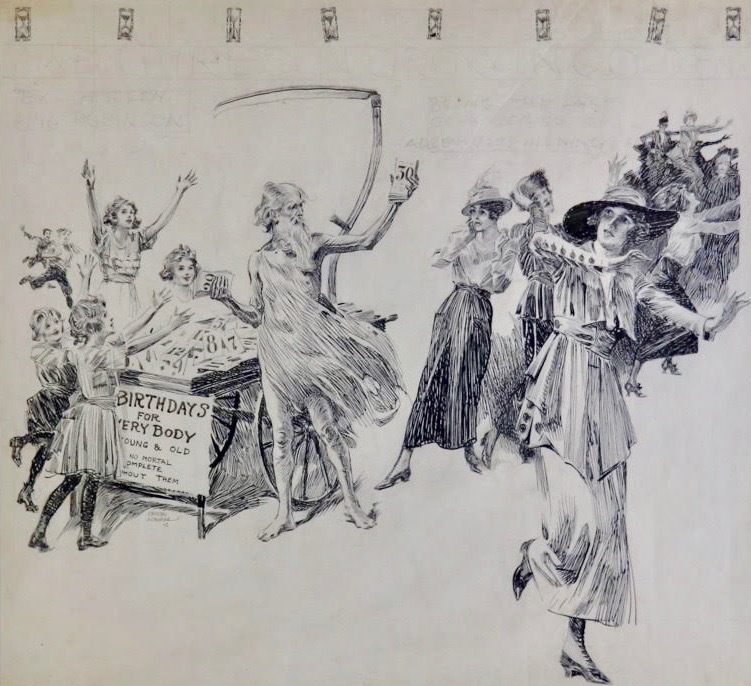 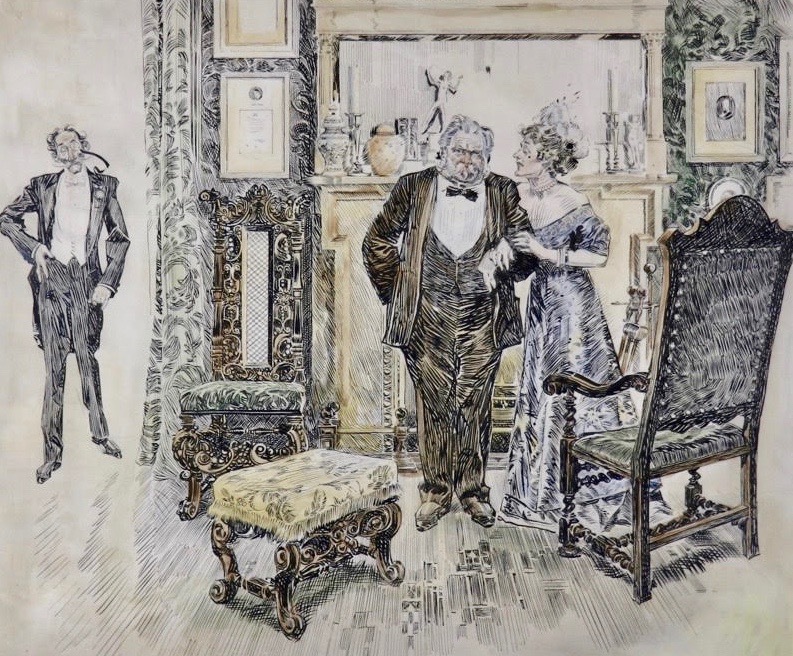 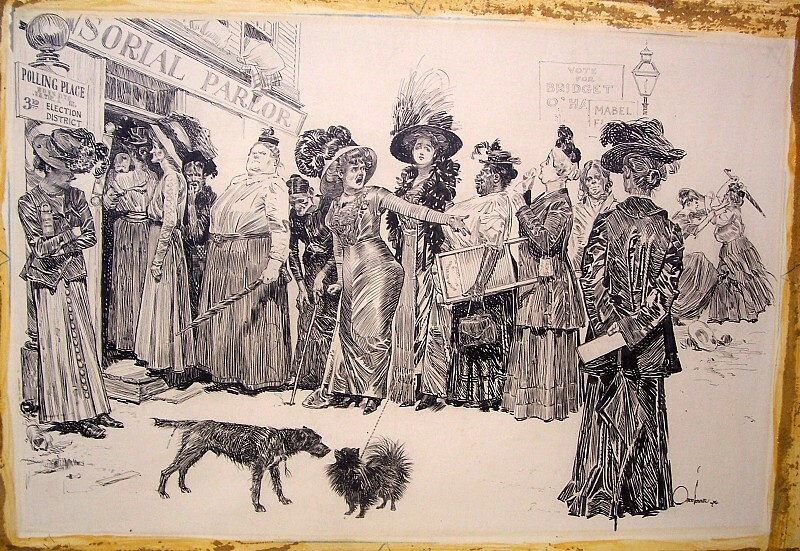 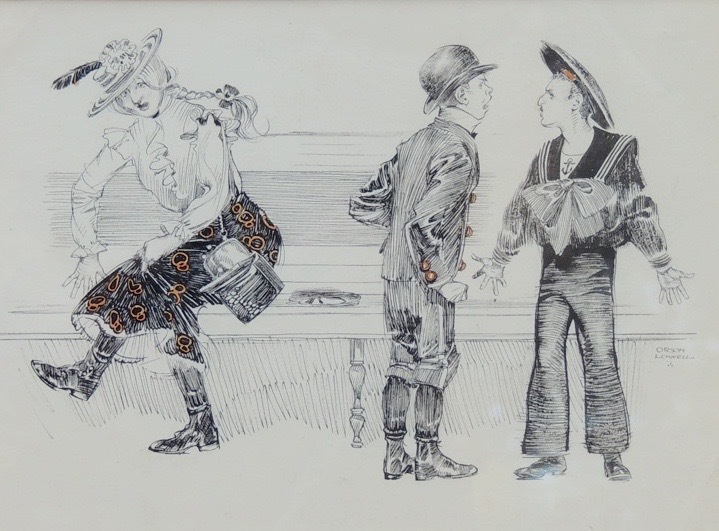 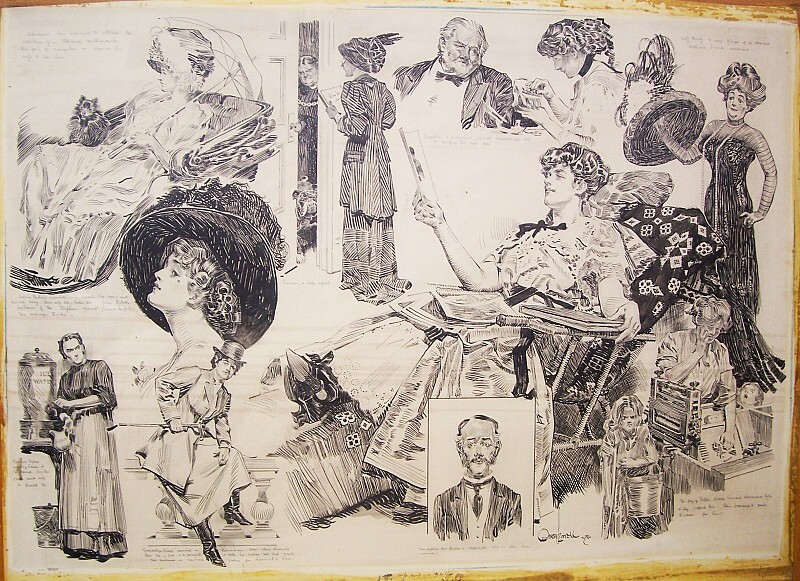 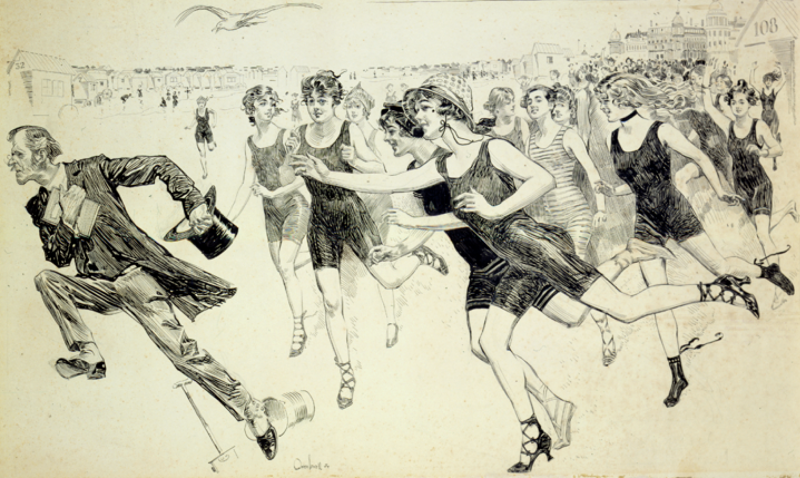 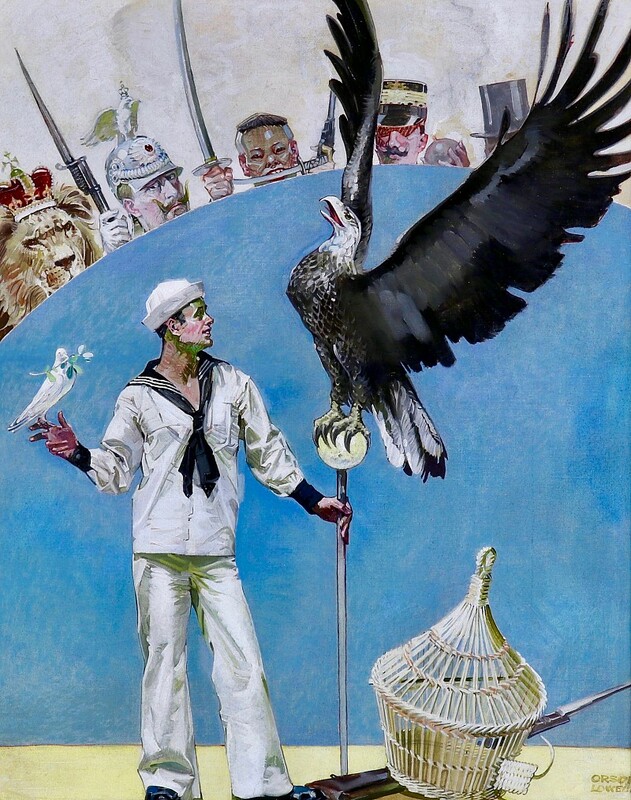 In 1907 he became a member of the Life staff and was a prolific contributor for many years, often featured with humorous centerfold double-spread pen and inks. 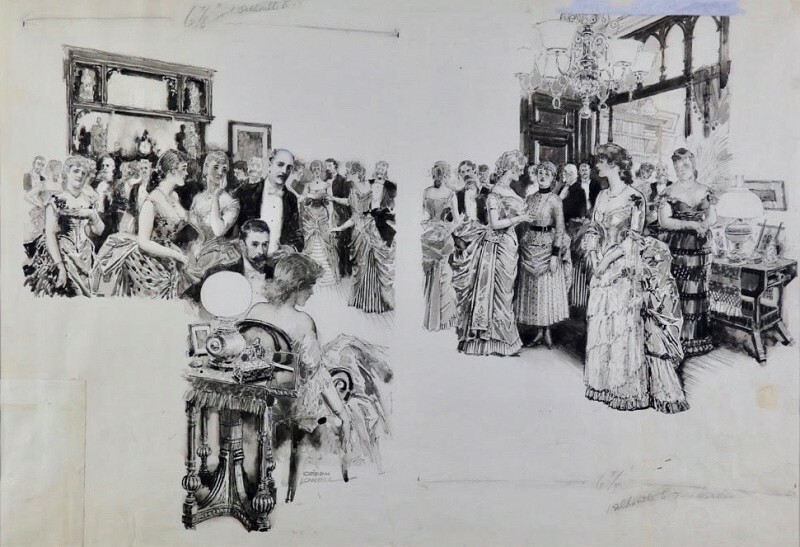 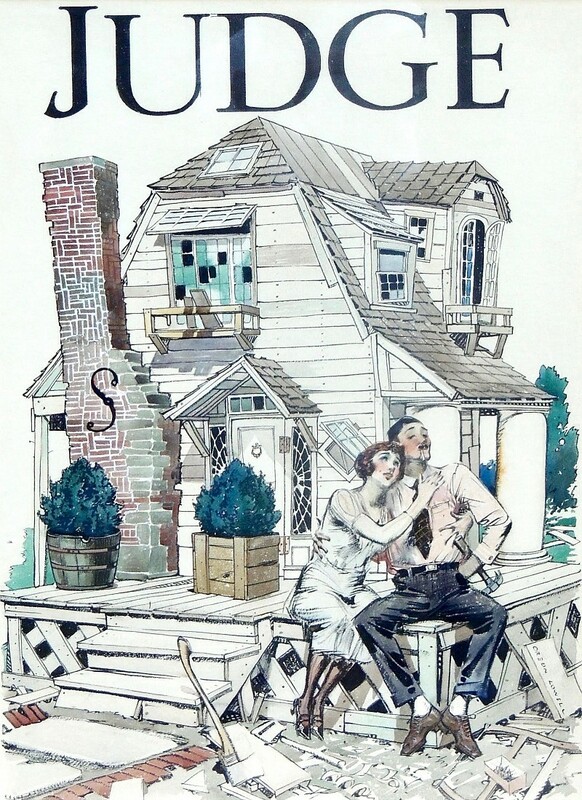 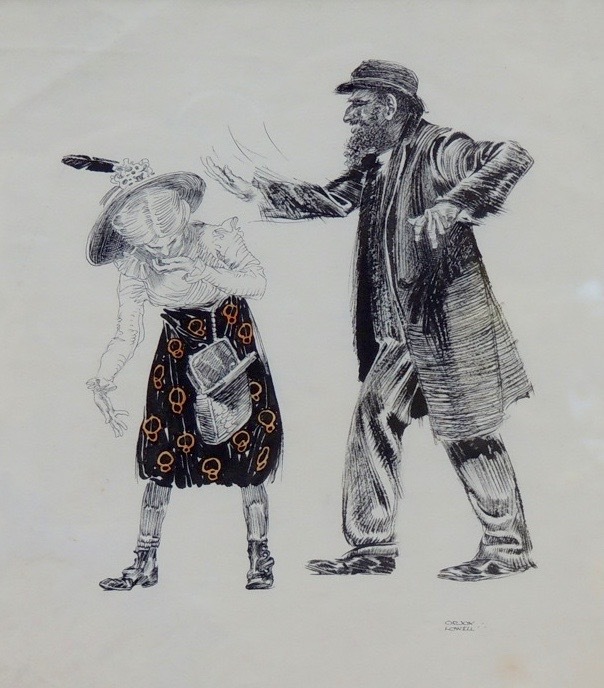 Lowell maintained studios in New York and in New Rochelle, and was a member of the Society of Illustrators, the Players, the Dutch Treat Club, the Cliff Dwellers (of Chicago), and the New Rochelle Art Association.